Every day it becomes more and more apparent that country music just isn’t what it used to be. Some people refer to these changes as part of the ‘new wave of country music.’ I don’t care what they call it, I will never be able to even consider some of the newer sounds to be country. Jessta James hails from North Dakota. The sound he is bringing to country music isn’t really new. And, while I believe it is his gimmick, or way of being noticed. It is no longer original. It has been done by Cowboy Troy, Colt Ford, Nappy Roots, The Lacs – and even country music superstars such as Jason Aldean, Luke Bryan and Blake Shelton. The sound I am talking about is rap music. They call it country/rap. I don’t believe you change the fact that it is rap music by putting the word country in front of it. His bio tells us that his earliest musical influences were Willie Nelson, Waylon Jennings, Hank Williams Jr., and Johnny Cash. Somehow, I find that very hard to believe. If those were his musical influences, I would really like to ask him why the music he is putting out music that sounds more like he was influenced by MC Hammer, Eminem, and Snoop Dog. The first song I listened to from Jessta was titled “If That Ain’t Country.” I don’t mind telling him, but that definitely ‘ain’t country’. Rap music is rap music. Country music is country music. That is the way it is, and that is the way it will always be. Jessta’s debut album will be released on May 21. 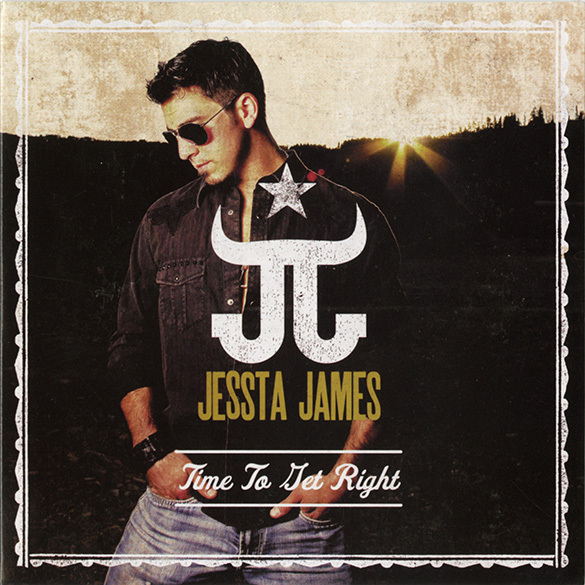 It’s called “Time To Get Right.” Given the path country music is taking these days, I am sure that Jessta will find himself with a lot of devoted fans, and a lot of people will be out there buying his album. I, however, will not be one of them. He is a good looking kid, with what seems to be a good singing voice. The biggest problem I have with him is that he isn’t using that voice to sing. The second Jessta song I heard was called “Cowgirl Boots”. This one still had far too much rap for me, but there were parts where you actually do get to hear him sing. So now that we can tell he actually does know how to sing, I guess the question that remains is, why doesn’t he? The rap is obviously what has been opening doors for him, but I keep wondering why something that has been done before is still being accepted as new or original. It is not new or original, and above all, it is not country music. I listened to “Ride On,” hoping that maybe I would find some real music somewhere in Jessta’s repertoire’. I didn’t. Still rap music. And, while I am sure there are a lot of people out there who will not agree with me, I just can’t understand how rap music is finding a place on country radio. The only pleasant surprise I found was “Rock ‘n’ Roll Angel.” I don’t know who he is singing with on that song, but he needs to keep her. It is really a great duet. And, it is all singing. No rapping. Great vocals by both Jessta and his female duet partner. It is a good song, a good story, and was the only bright spot in my listening experience. This is probably the only Jessta James song I will remember, and is certainly the only one that I will listen to again. Anyone interested in checking Jessta out, can listen to the songs I mentioned, along with “Better Man” and “Back in the Day,” by visiting his web site, http://www.jesstajames.com/, and clicking on the word ‘music’ at the top. His songs are available for purchase at iTunes and Amazon. I’m not sure how many people think the way I do. I am a fan of traditional country music. I always will be. However, for those of you who enjoy everything that is coming out of Nashville today – there is your introduction to Jessta James.